Screwtech Engineering is a U.K. based company manufacturing high quality twin extruder components for the plastics, rubber and food industries. 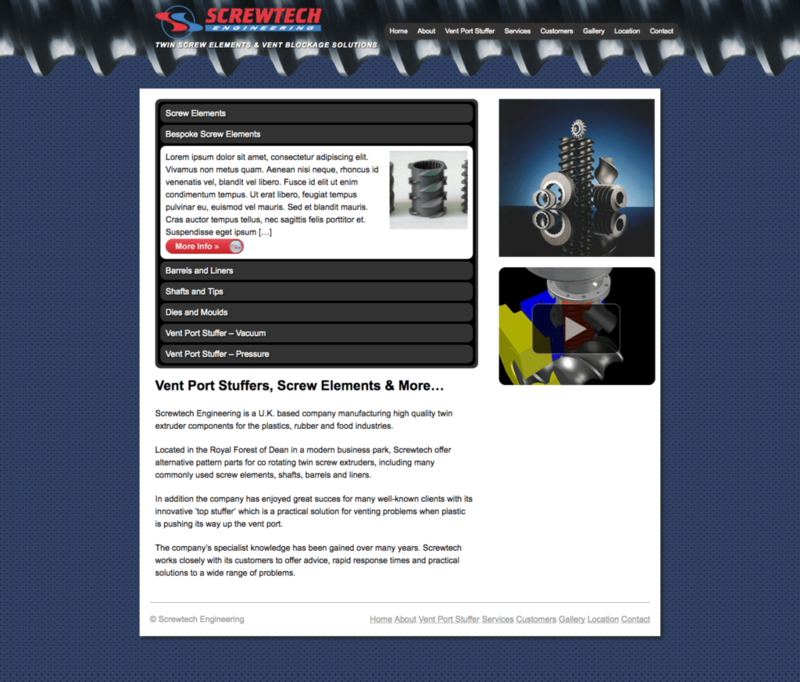 Located in the Royal Forest of Dean in a modern business park, Screwtech offer alternative pattern parts for co rotating twin screw extruders, including many commonly used screw elements, shafts, barrels and liners. In addition the company has enjoyed great succes for many well-known clients with its innovative ‘top stuffer’ which is a practical solution for venting problems when plastic is pushing its way up the vent port. The company’s specialist knowledge has been gained over many years. Screwtech works closely with its customers to offer advice, rapid response times and practical solutions to a wide range of problems.